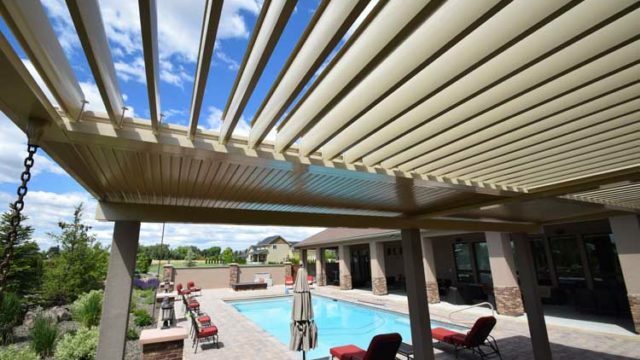 CoverTech’s Side-Retention Shades are the perfect upgrade for your louvered cover – especially for west-facing areas needing extra sun protection. 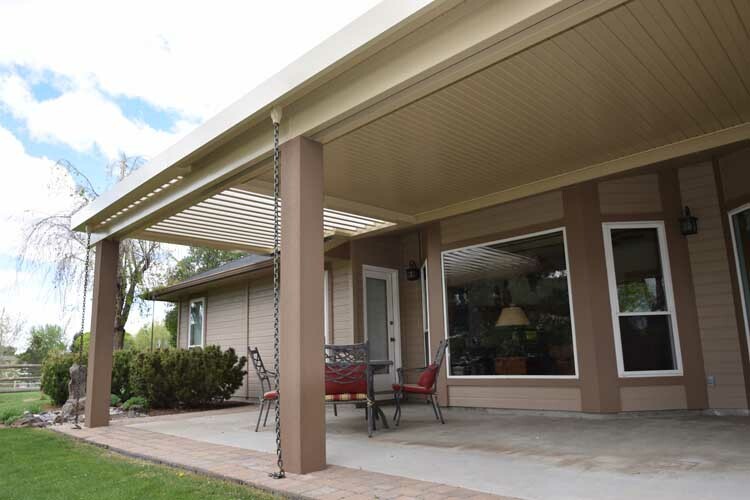 CoverTech Louvered Covers allow you to easily keep up with Idaho’s quickly changing weather. 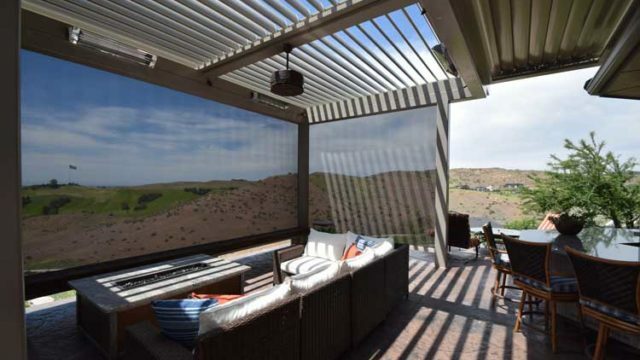 At the touch of a button, you determine the exact amount of shade or ventilation you desire, ranging from full sun to full protection. 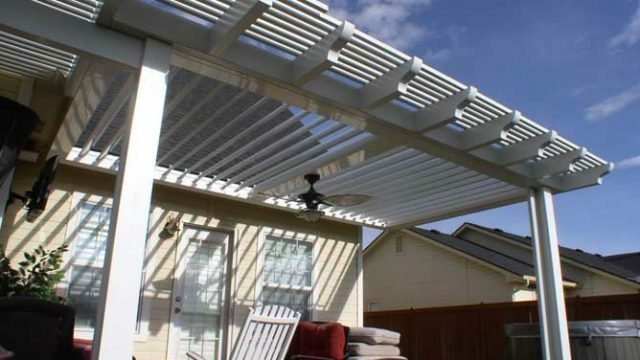 Motorized louvers can be positioned anywhere between the 160 degree range of motion. 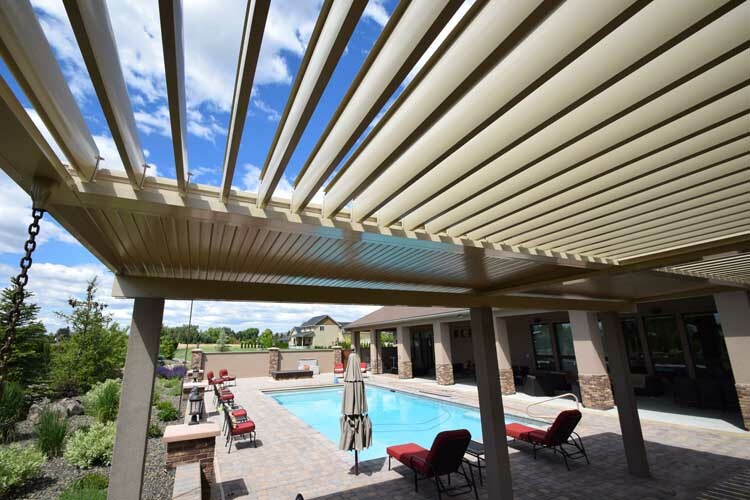 You can relax knowing this is a system from Amerimax Building Products, a company homeowners have been relying on for more than 50 years. 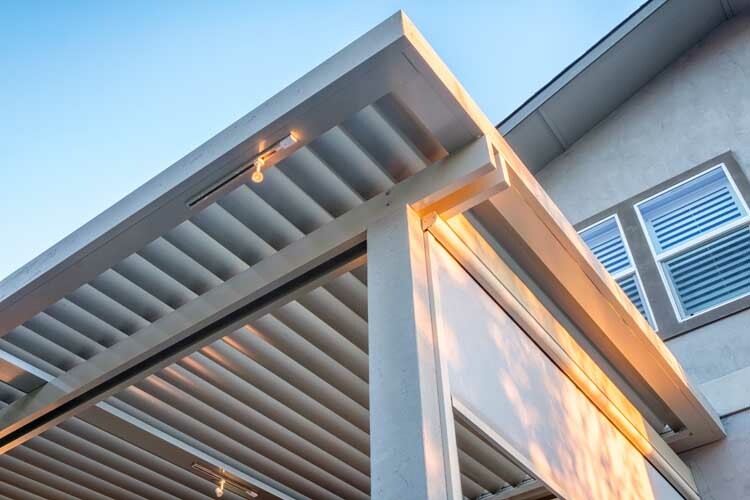 Available in white, clay, sandstone or a custom color, the Equinox Louvered Roof system enhances outdoor living areas such as patios, courtyards, outdoor kitchens, swimming pools, spas, and more. 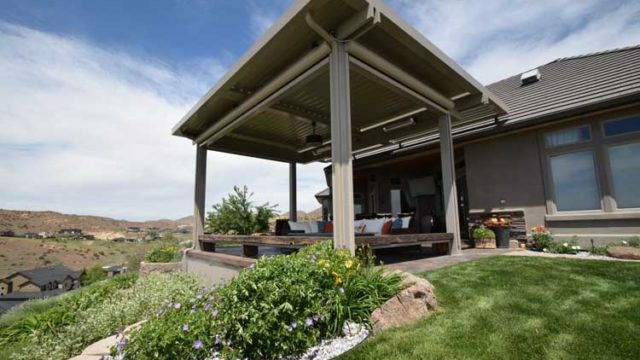 Units can be free-standing or added to existing structures to enhance any area requiring sun and weather control. 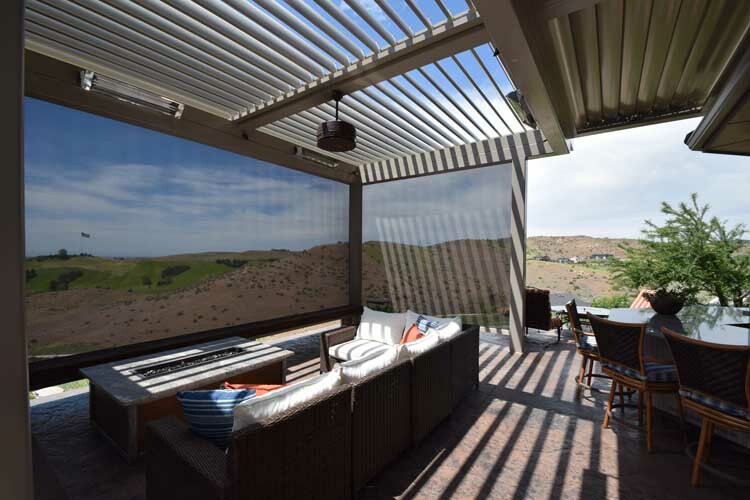 Cover can be solar powered or wired-in using low voltage wire. 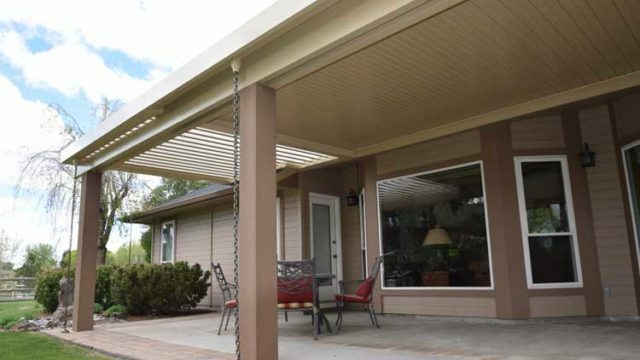 • Strong, long-lasting, virtually maintenance-free aluminum with heavy header beam construction. 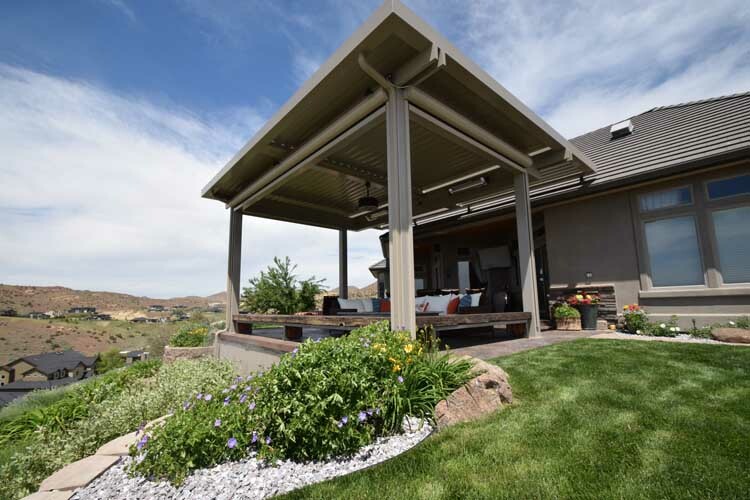 • Weather-resistant Tuffcoat paint finish that withstands the harshest conditions, including sun, rain, wind and extreme temperatures. • Baked enamel for rugged durability. 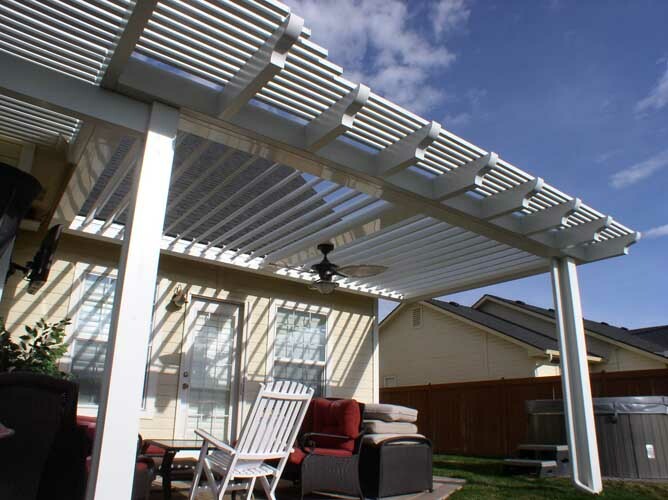 • Fans and other accessories can be added for additional comfort. 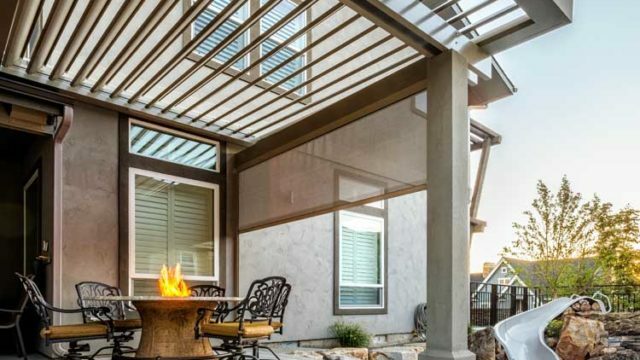 Entertain without the worry of the weather. 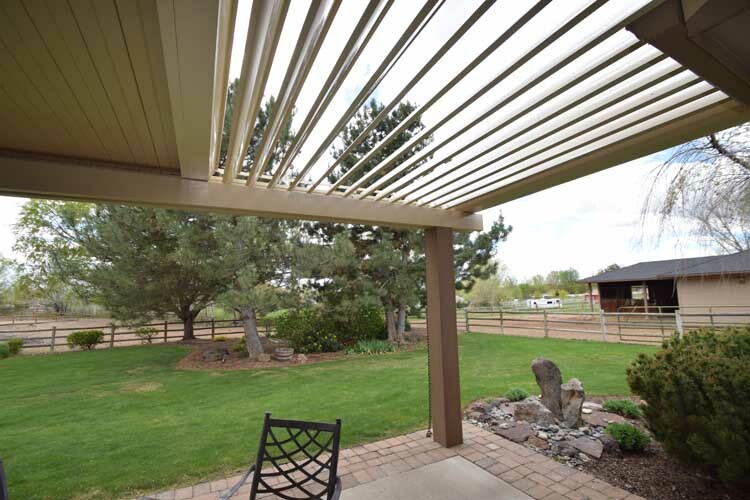 You can dial in the desired amount of sunlight or keep the sun and rain from making things uncomfortable. 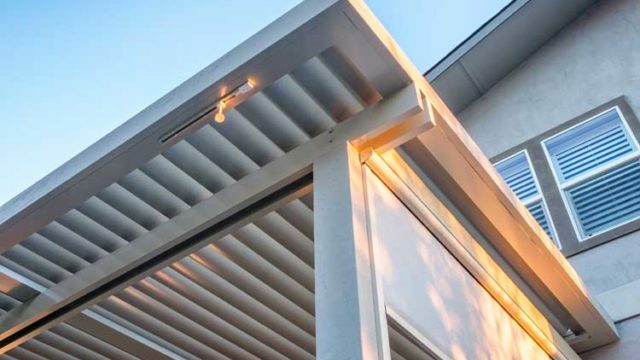 Manufactured from quality materials with precision engineering, an Equinox Louvered Cover comes with enough aesthetic options to help you create your dream outdoor living space. 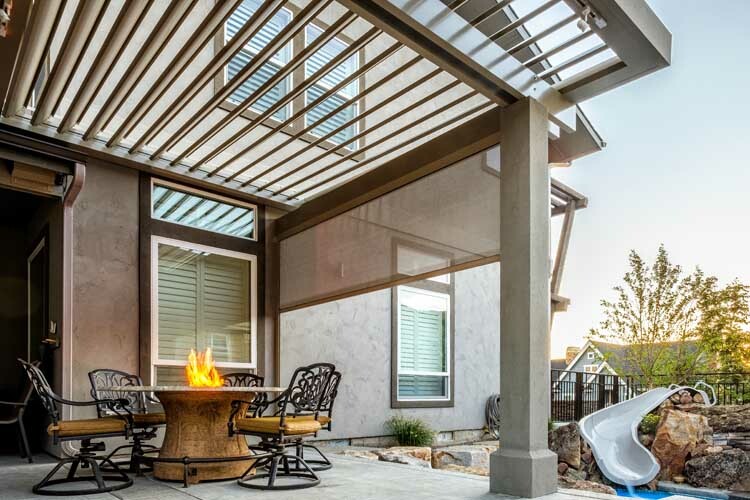 Use our online building tool to enter basic dimensions, choose options, and get an initial general estimate. 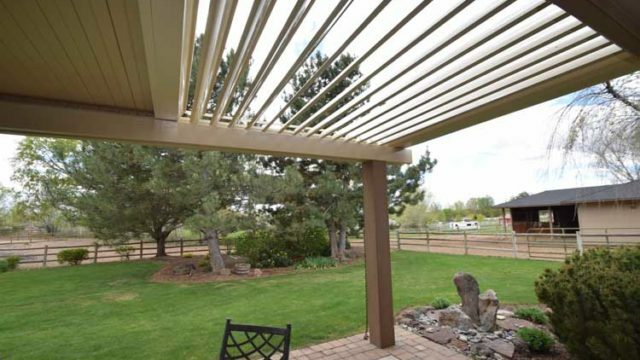 Then our installation experts will follow up with exact details.